In Burkina Faso and Mali, 80% of women living in rural areas are involved in agriculture and in the Shea value chain. These women face many issues mainly because of their lack of access to land, financial services, technical capacities, market access and quality inputs. With this project, ICCO-Cooperation along with the Government of the Netherlands, want to help develop the Shea value chain in Mali and Burkina, but also help improve the means of revenue of women living in rural areas. In May 2015, the Government of the Netherlands through the Netherlands Enterprise Agency approved a multi-stakeholder project (FDOV) for a period of 3 years (2015-2018). 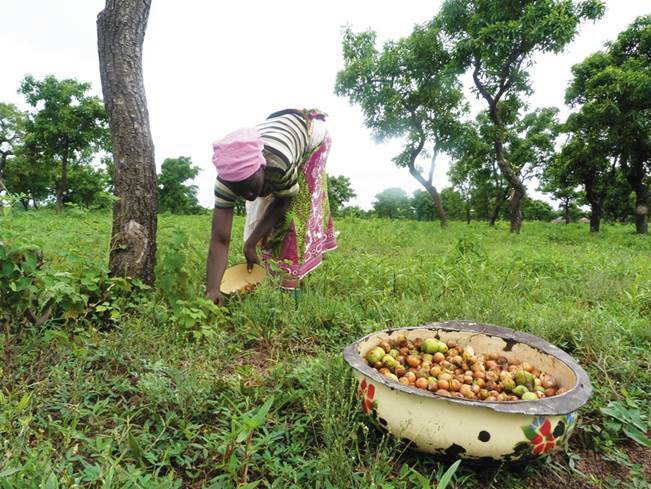 This project will be implemented in Mali and Burkina Faso by ICCO Cooperation in partnership with OLVEA Burkina Faso (OLVEA BF), the National Center for Forest Seeds of Burkina Faso (CNSF), the Karitï¿½ï¿½ Project and the Cooperative of Producers of Shea butter from Zantiebougou (COPROKAZAN). This project is of paramount importance for COPROKAZAN, but also, for all the women involved in the Shea value chain in Burkina Faso and in Mali. Initiatives like this will help develop the Shea value chain, which will in turn develop women's activities and provide them with more opportunities and therefore more ways to improve their income. Women working in the Shea value chain and in agriculture in general.